Please select the correct certificate which is attached with your profile to login and sign successfully in IREPS application. 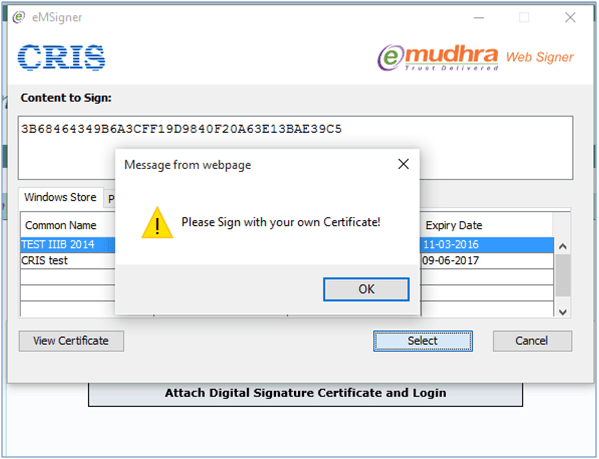 I have created a new member and before it was opening via the same digital signature, but now i am getting the above error. Should i get a new certificate for that id also? 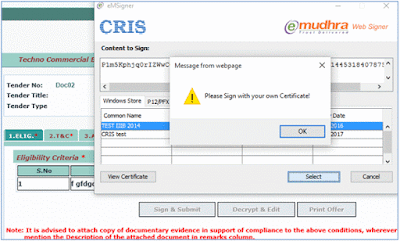 It is recommended that you should use the Digital Signature Certificate issued on the name of user. actually my previous digital certificate had expired and I made a new digital certificate, then after getting this error message. 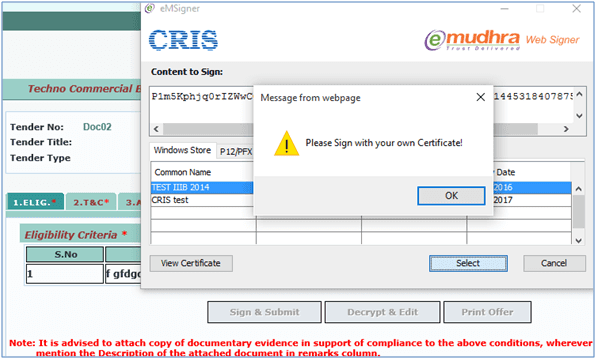 Have you changed the your Digital Signature Certificate? If you have not updated the your DSC then Click here to change/update the your DSC.